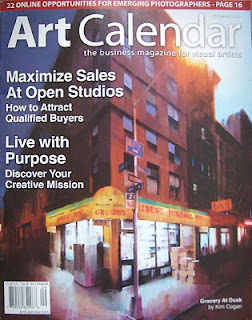 I am featured in Art Calender, November 2010 issue. This is the 1st time ever my artwork has been featured on the cover, and I am honored they chose to feature my artwork. 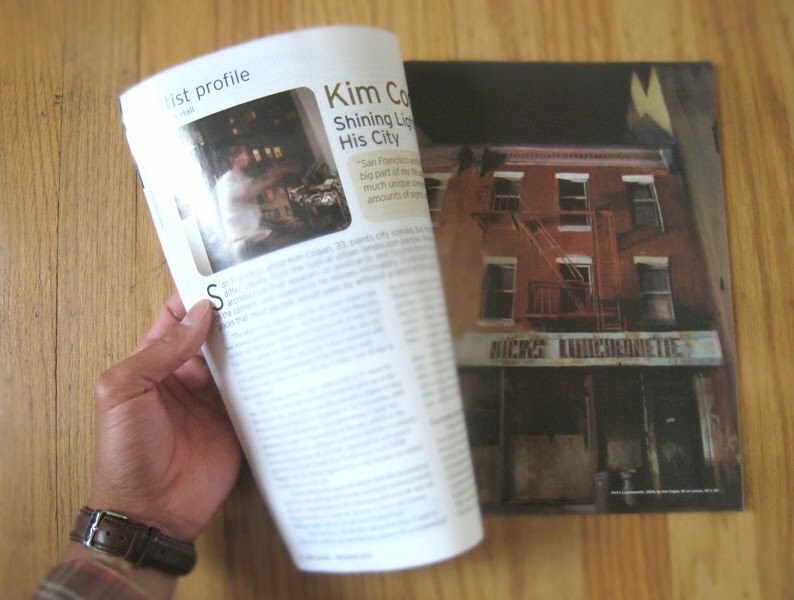 Pick up a copy at your local news stand or order from the Art Calender website. Since this is a special occasion, I created a slide show of a few old photos from 2008 which show the process of the painting Grocery At Dusk. Next month - Giveaway ~ stay tuned.